Seniors now account for more than 15% of the total national student debt burden. 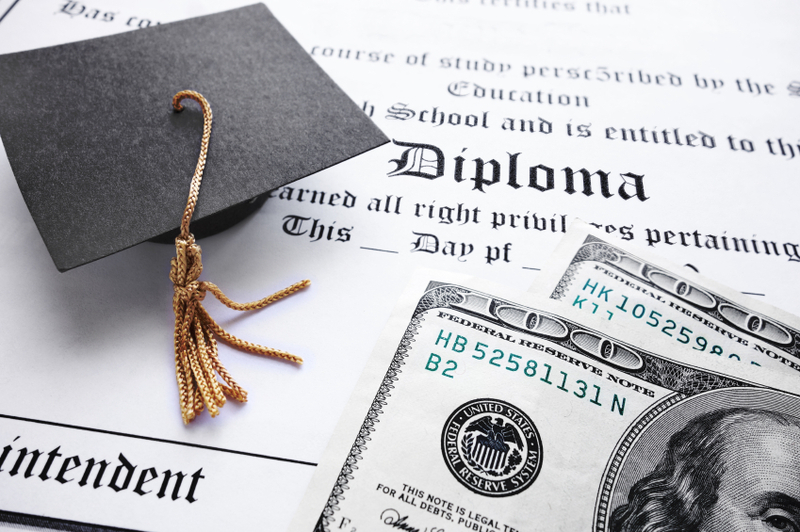 Outstanding student debt for Americans 65 and older grew from $2.8 billion in 2005 to $18.2 billion in 2013, according to the Government Accountability Office. Although the 25 to 49 age group still holds the vast majority of student debt, seniors now account for over 15 percent of the total burden. Some of these debt holders are still facing payments on loans they took out for their own education, particularly those who have started second careers or pursued graduate degrees later in life. “A person who received a doctorate, for example, is not likely to complete his or her education until near 30 or well beyond, even if he or she graduates from college at 22,” said Marilyn Stanley, Housing and Credit Counseling Inc. chief operating officer. “That repayment period can even be extended as long as 25 years beyond initial entry into repayment.” For a late middle-aged professional whose career advancement hinges on an advanced degree, student debt can quickly pile up and take a back seat to other expenses. However, a much larger portion of the $18.2 billion debt is carried by seniors who took out loans to finance their children’s and grandchildren’s educations. “From what we’ve seen, senior citizens comprise a small percent of student debt, but what’s happening more and more is parents and grandparents are co-signing loans for their children and grandchildren,” said John Bucsek, MetLife Solutions Group Managing Director. Given recent graduates’ difficulties in the job market, these loans are often left unpaid for months or years, and co-signers are left to bear much of the burden. To that end, retirees and pre-retirees with outstanding student debt should look for payment reduction and consolidation options as soon as possible. “I have seen monthly student loan payments become as low as zero dollars per month,” said Stanley. “They key is to contact the servicer and complete the necessary paperwork. Address the situation now, instead of waiting for future garnishment of Social Security income later in life.” According to the Treasury Department, almost 140,000 seniors’ Social Security payments were being garnished for student debt in 2014, up from just 38,000 in 2004. Fortunately for debt holders, student loan consolidation options are expanding. For instance, private lender CommonBond recently released a 10-year loan with a fixed rate for the first five years and an adjustable rate for the second five. The option is only available to borrowers refinancing existing private or federal student loans, and rates have gone as low as 4.14 percent – a half point lower than the 2014-2015 Stafford Loan undergraduate rate and roughly two percent lower than the 6.21 percent rate for graduate and professional students.